The clock spring is simply a coil that retracts and expands inside its housing as the steering wheel turns. 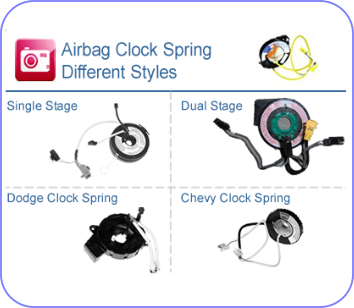 Its function is to maintain electrical continuity for all the components on the drivers airbag. The components include the airbag, horn, and any vehicle controls such as radio, cruise, heat and even telephone on some vehicles. 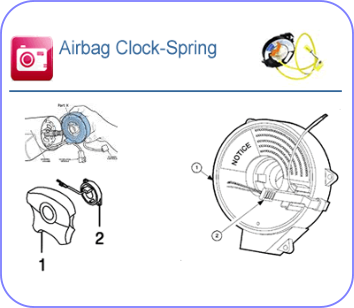 The clock spring only needs to be replaced when the connectors that attach to the steering wheel airbag is melted and fused directly to the cylinder. During a deployment the gas conversion creates a heat exchange inside the cylinder and that causes some connectors to melt. Click Clock Spring Services for information on repairing your clock spring.